A resident of Providence, Rhode Island, Thomas Lyon Mills spent several years in Rome where one of his favorite subjects was the city’s underground. 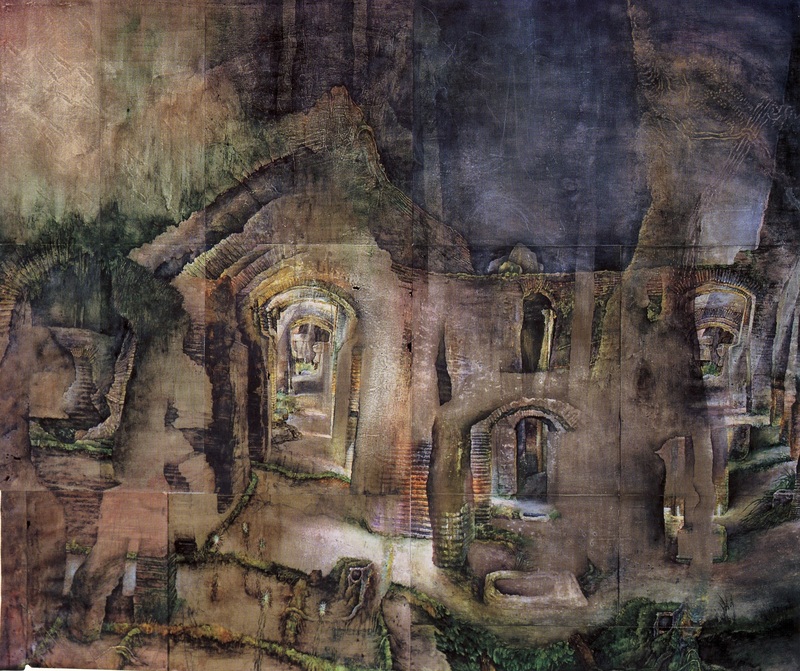 There, he sketched the damp, crumbling vaults and endless networks of tufa mazes and, in his studio, transformed the sketches into images on paper. This is one of such works, a result of the artist’s long study of Rome’s little known, time-worn sites.